An everyday essential for training and riding in close contact saddles. Cut high at the front there is plenty of wither clearance for thoroughbreds and prominent withers, avoiding rubbing and pressure. This pad features close contact D-ring touch-tape fastenings to secure the pad in place and girth straps to prevent the saddle pad slipping back. Quilted in classic ¾” diamond pattern, you have a traditional style saddle pad designed specifically for close contact jumping saddles. 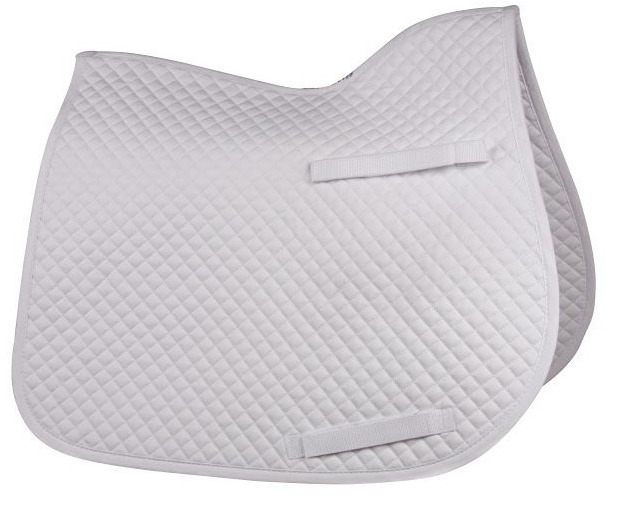 There are currently no questions for HyWITHER Competition Close Contact Saddle Pad - be the first to ask one!